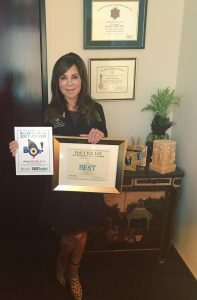 Plastic Surgeon Christine Petti, MD and Spa Bella Medical Day Spa Receive Four Best Awards in 2017! Plastic surgeon, Christine Petti, MD and the staff of her private medical day spa, Spa Bella, are grateful to the South Bay community, which includes their loyal patients, colleagues, and referral resources, for awarding them four times in 2017 for outstanding surgical and nonsurgical aesthetic services. Most recently, Dr. Petti was awarded “Best Cosmetic Surgeon”, while Spa Bella won “Best Medical Day Spa” by the Daily Breeze Readers’ Poll. Votes are collected from readers located in the South Bay of Los Angeles where Dr. Petti has practiced and been a leader in her field since 1990. These have been consecutive awards for Dr. Petti from 2014 to 2017 and for Spa Bella from 2014 to 2017. These honors reflect Dr. Petti’s continued commitment to excellence in contemporary surgical options, non-invasive aesthetic procedures, and spa treatments for her patients. 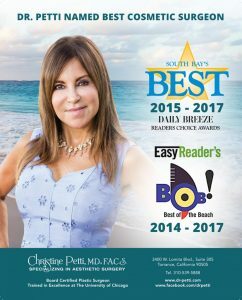 Earlier this year, the Easy Reader of the South Bay announced that their readers chose Dr. Petti for The Best of The Beach (BOB) 2017 in the category of “Cosmetic Surgeon”. Spa Bella was the runner-up for Best of the Beach 2017 in the category of “Medical Day Spa”. 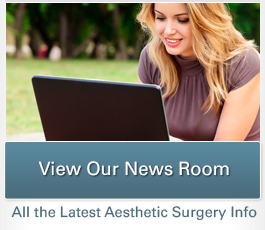 These numerous awards over the years add further distinction to Dr. Petti’s national reputation for excellence in plastic and laser surgery. Dr. Petti is highly sought after for customized procedures including breast augmentation, revision breast augmentation, breast lifts, breast reductions, Smartlipo TriPlex™ laser liposuction, SculpSure™ 25-minute light-based fat reduction, tummy tuck, mommy makeovers, male plastic surgery, face-neck and eyelid rejuvenation, rhinoplasty, laser skin rejuvenation treatments, laser hair removal, Titan™ skin tightening, laser genesis™, FotoFacial™ treatments, micropeels, BOTOX® Cosmetic, dermal fillers, and hand rejuvenation. She also carries an organic, stem cell-based skin care line called Stemology™. Dr. Petti is committed to providing personal patient care, in addition to offering customized innovative treatments that produce the attractive, natural-looking improvements she is known for. As a woman who cares about her appearance, she has both a keen eye for beauty and possesses a personal and passionate drive to create the best aesthetic outcomes. Dr. Petti and her staff wish to humbly express gratitude to their patients and the entire South Bay community for their success. 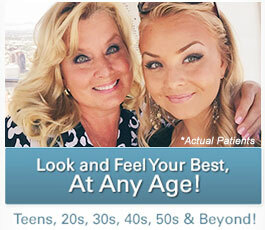 To learn more about Dr. Petti or Spa Bella services, please call our office at 310-539-5888, browse our website www.dr-petti.com, and follow us on social media: Facebook www.facebook.com/drpetti and Instagram @drchristinepetti.